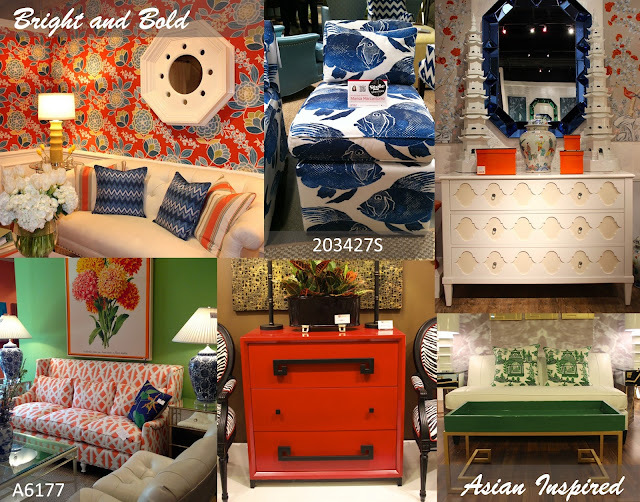 Market designers stepped it up this spring making bold statements in color and design. Unique room settings were saturated in colors of mandarin orange, poppy red, monaco blue, and emerald green. Patterns and fabric designs are getting bigger and bolder like the one of a kind blue fish fabric pictured below. Asian inspiration also dominated the scene from statement pillows in large toile fabrics to overscaled pagoda inspired obelisks. The geometric trend is not going anywhere, in fact, it is being developed and explored taking the trend to new heights. Chevrons are taking on new forms and unique color combinations further drawing interest from the viewer. 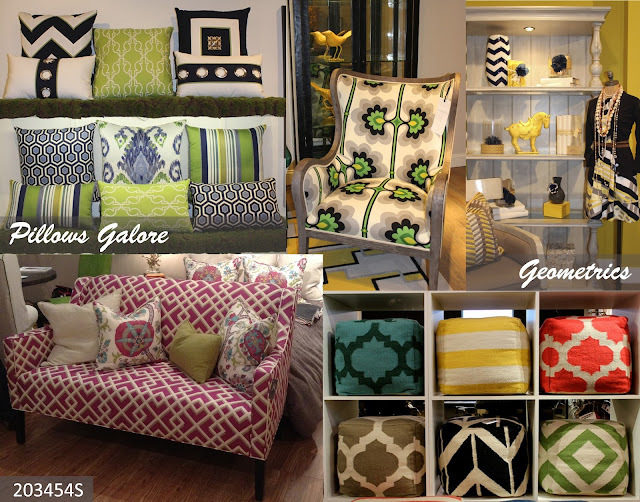 Trellis and pergola inspired fabrics are are also making their mark in the design world. There is beauty in the basics. 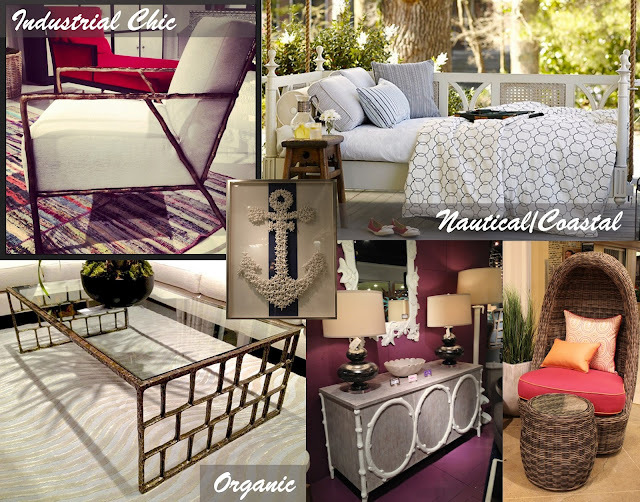 This seems to be the mantra for the merging industrial chic and organic look. Unexpected design components such as pulleys, cables, machinework parts, and re-claimed lumber have been re-purposed in fresh ways where industrial inspiration meets elegance. The overall organic trend is influenced by natural lines and meandering forms in nature. Many statement pieces, furniture components, and light fixtures have taken on these true organic forms bringing the serenity of the outdoors into the home.